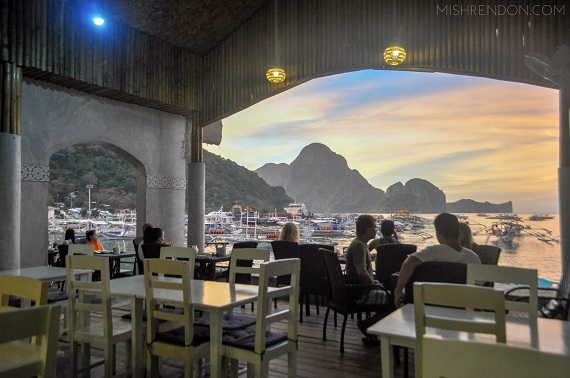 Dining in El Nido is kind of an adventure in itself. Since there are no fast food chains in the area, everything is basically alien to me. We got some recommendations from the front desk of our hotel which we got to try, but I wasn't totally mind blown. 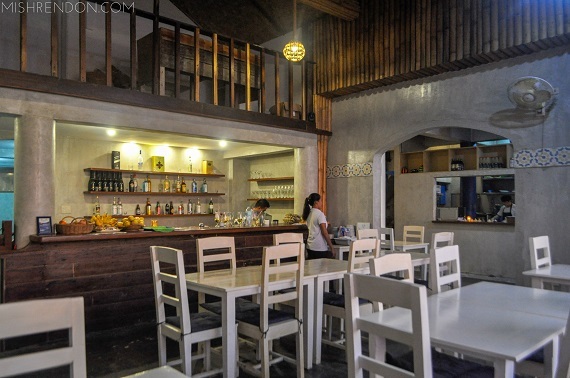 Luckily, we got to encounter a Mediterranean restaurant in El Nido that offered me the best meal I've had in the island. Cafe Athena, which started in October 2016, is inspired by everything Grecian. The setup is like a taverna but theirs is quite larger than the usual taverna due to a much needed expansion. Also, the name Athena is derived from the Goddess Athena of Greek Mythology. 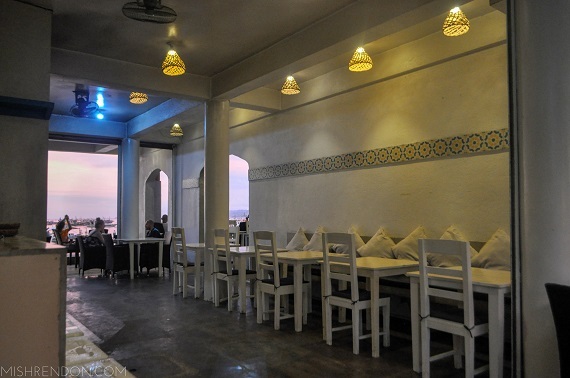 And as their name and concept suggests, they offer only the best Mediterranean cuisine in El Nido. We went to Cafe Athena during our last night in El Nido and it definitely capped off our trip well. The sun was about to set when we got there and although we didn't get a direct view of the sunset, the scenery was still spectacular. The best thing was that not only was the view from Cafe Athena spectacular, but their dishes were also as spectacular. 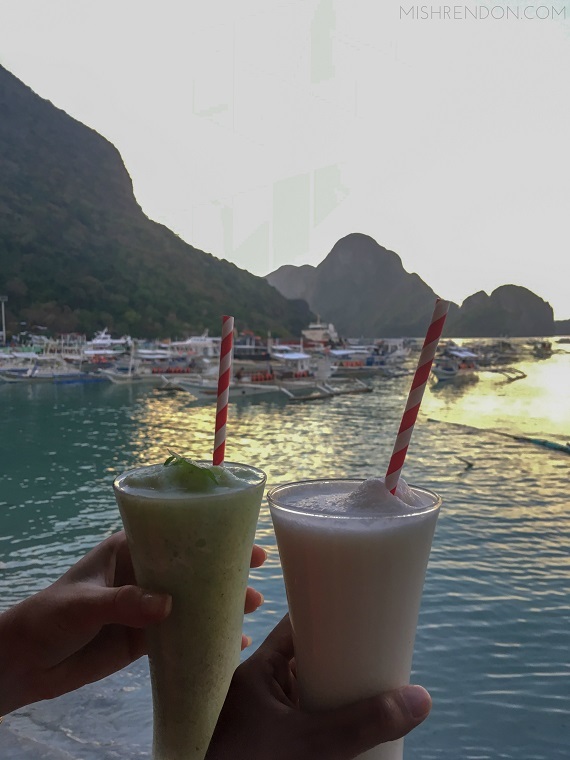 To begin our gastronomic journey, I tried out their bestseller drink, the Coconut Milkshake. I personally love coconut mixed with milk and this one really satisfied me. It was milky, creamy, and refreshing. My blogger friend, Bea, on the other hand, had their Pineapple Mint Crush. I had a sip and it was a refreshing thirst quencher. 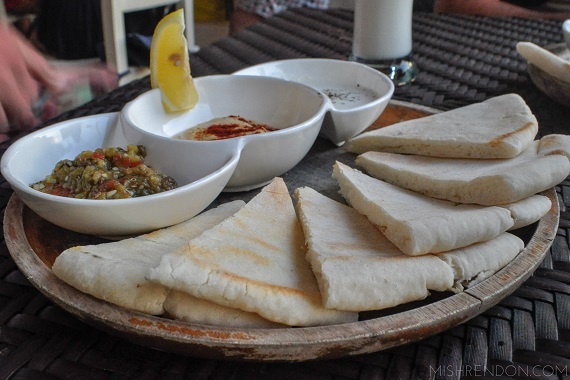 For our appetizer, we had a Selection of Mediterranean Dips with Pita Bread. I enjoyed Cafe Athena's homemade pita bread. I love how thick the bread is as you get more of the product in every bite. The bread comes with Babaganoush, Hummus, and Htipiti. I love each of their textures. Among the dips, the Htipiti was my favorite. It was creamy and tangy and it goes well with the pita bread. 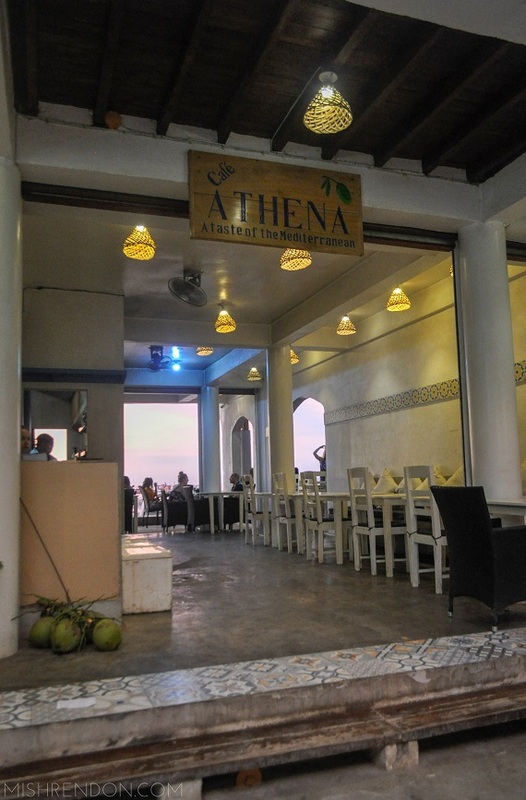 Cafe Athena's Souvlaki was definitely the best dish I had in El Nido. There are currently four variants of the dish - Lamb, Chicken, Beef, and Seafood. All of the products used in their dishes are locally sourced except for the lamb and beef which are sourced from the US. 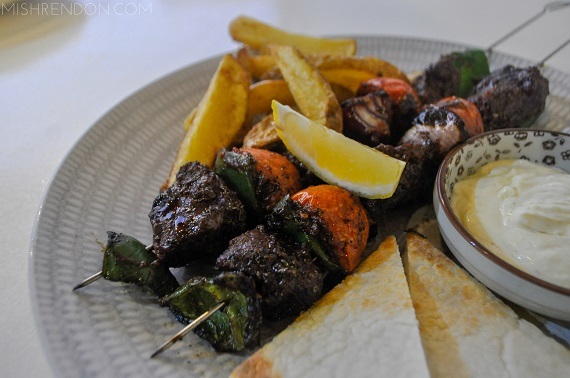 The Lamb Souvlaki is composed of marinated lamb which I absolutely love. Lamb meat is usually tough because it is has less fat but theirs was tender. 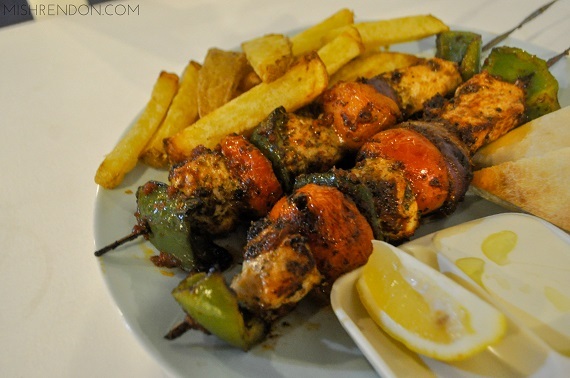 The Chicken Souvlaki is the most popular among the souvlakis and I cannot argue otherwise. 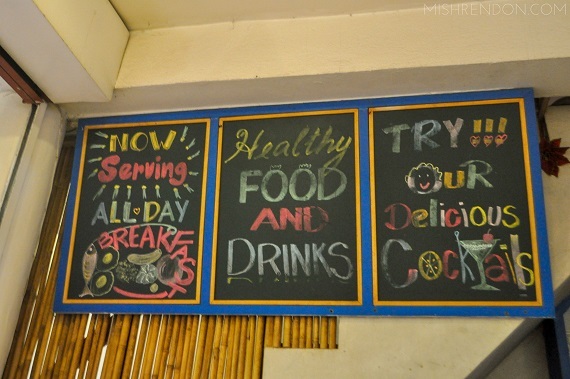 I was told by their owner that they consume up to 20 kilograms of chicken every single day at Cafe Athena. 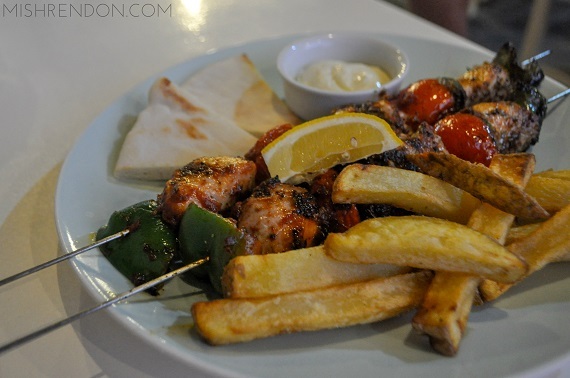 They usually use the breast part of the chicken for the souvlaki, which could tend to go dry after cooking, but I couldn't fathom how well they cooked it because they kept it so juicy. The marinated chicken was flavorful and hands down delicious. It goes well with the garlic yoghurt sauce that comes with it. Another surprise was the Seafood Souvlaki which is comprised of fresh tanigue. The fish was grilled so well that it remained soft and moist. Just like the other souvlakis, it was savory and seasoned well. Even the veggies are cooked well. Each stick comes with tomatoes, green bell pepper, and onions which are likewise charred perfectly. The homemade fries that goes with every order are salted well and are not too greasy. 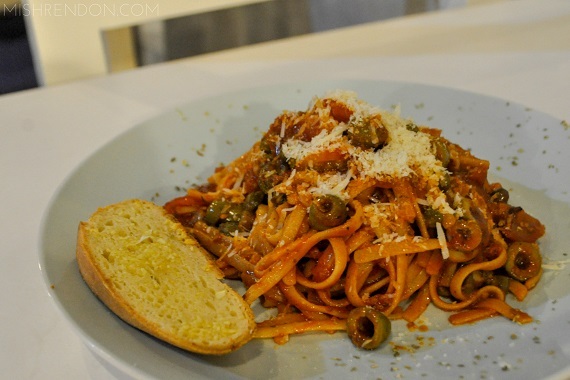 Cafe Athena's Pasta alla Puttanesca is filled with flavor! It is generously comprised of sun dried and fresh tomatoes, olives, capers, garlic, and Parmesan cheese. The pasta was cooked well. The sauce was tangy good. I am not sure if it is good paired with the souvlaki because it is a entirely different cuisine, but I love it on its own. Cafe Athena is open from 7AM until 10PM. They also have a wide range of breakfast meals which are available until 2 in the afternoon aside from the Mediterranean dishes that they offer. At night, their cocktail drinks are must tries! I personally love their margaritas. 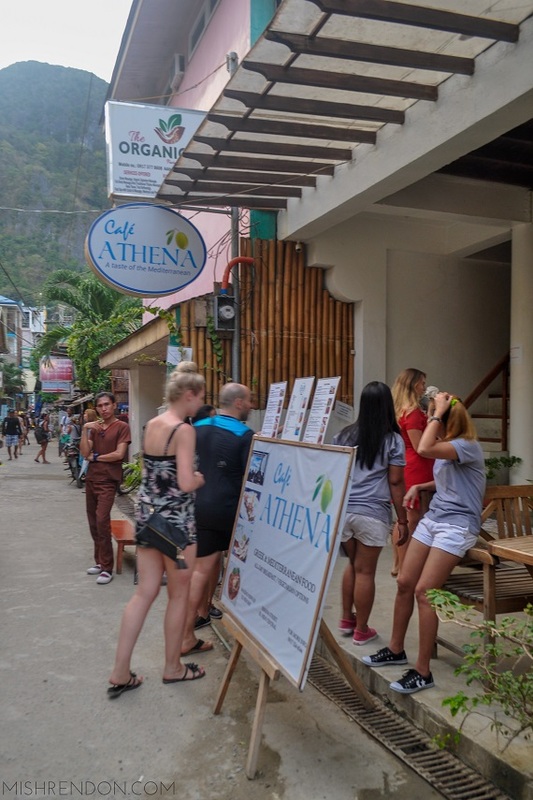 For delectable Greek and Mediterranean cuisine in El Nido, visit Cafe Athena at Serena Street, Barangay Buena Suerte, El Nido, Palawan.